Red Rock Offroad is now Metro Detroit's "GO-TO" location for LINE-X! We have Partnered up with LINE-X and have built one of the largest LINE-X Application booths in the state to be able to handle all of your LINE-X projects. From standard pickup truck beds to 40' trailers, our facility is capable of turning out your project! We promise to bring you the high quality products and customer experience that you expect with LINE-X and Truck Gear by LINE-X products. You have protected the top side, now protect the Underside with a Rustproofing and Undercoating Package from Red Rock! Red Rock offers complete underbody protection utilizing products from ValuGard the countries leader in Automotive Underbody Protection! Whether its a Truck, SUV or Car, Red Rock can help you protect and extend the life of your vehicle by applying protective coatings to the underbody! Check out the link below for more information or call the shop to talk to one of our sales staff to schedule your appointment today! 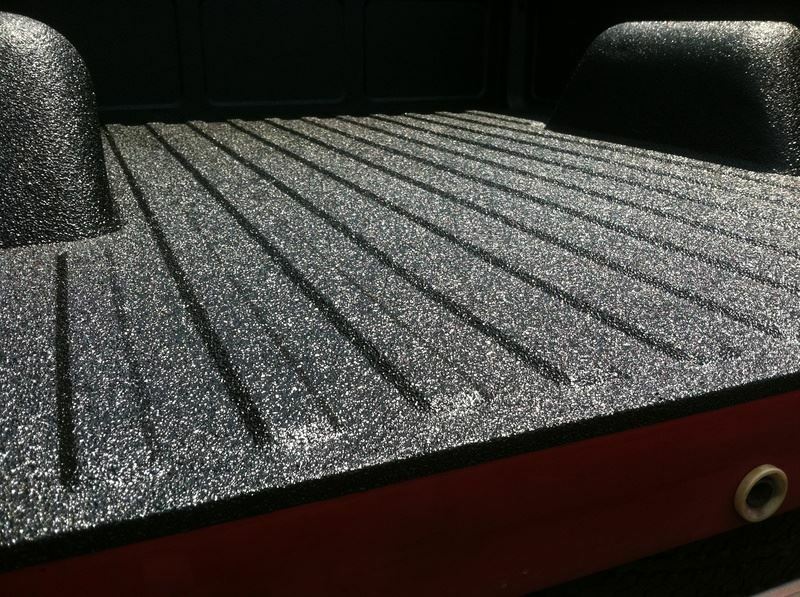 Protect your Truck Bed with a LINE-X Spray-In Liner!